From Athens International Airport «Eleftherios Venizelos»: You can get a ferry from both ports Lavrio and Piraeus. Lavrio Port is km away from the airport and ca 20 min drive. 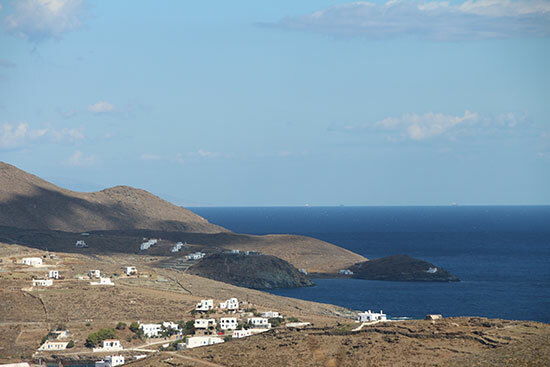 There is also private helicopter service directly from the Airport to Kythnos. Kythnos heliport is located only km from Eneos Beach Villas. From Lavrio port: During the summer season, ferries depart every day regularly and it takes one hour and a half to reach Kythnos. There is also private rib boat service from/to Lavrio port. From Piraeus port: During the summer season, ferries depart every day regularly and it takes 3 hours to reach Kythnos. 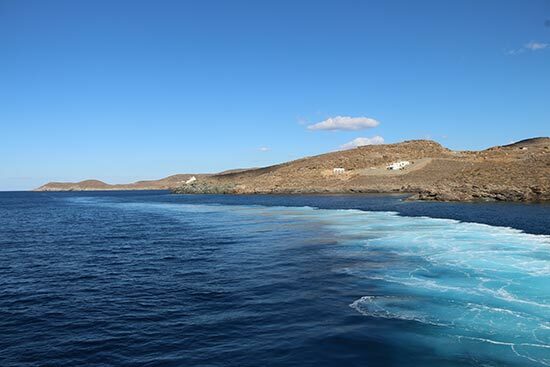 Kythnos is also connected daily via boat with other islands like Serifos, Sifnos, Milos, Kimolos and several times a week with Kea, Syros, Tinos, Mykonos, Paros, Naxos, Sikinos and Folegandros. 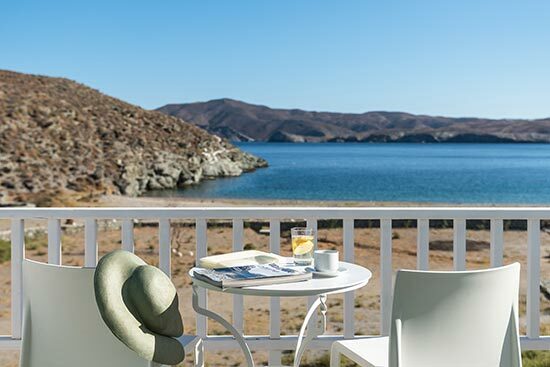 Eneos Beach Villas is looking southeast with beautiful views over the Aegean and Syros and Serifos islands. All interior and exterior spaces are orientated towards the sea offering pictures and images of Agios Sostis bay on the foreground and the islands of Serifos and Syros on the background. After arriving at Kythnos port Merichas, turn left and follow the signs directing you to Chora and Loutra. Arriving Chora and just before entering turn left to Loutra. Follow the road to Loutra and after 5km drive turn left and follow the signs to Potamia Beach and Agios Sostis Beach. 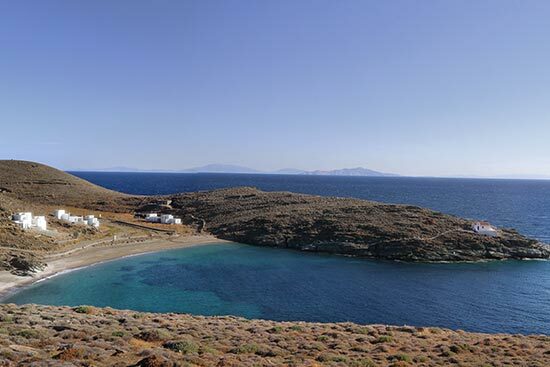 At the end of the road (dead end), you reach the Agios Sostis Beach and Eneos Beach Villas. Indulge Greek cuisine flavours in fish-restaurants and tavernas of Loutra village. 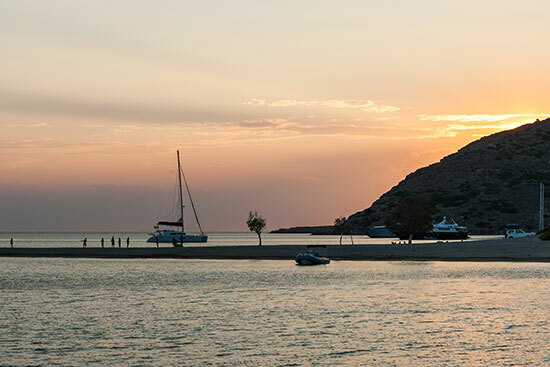 Loutra, only 4 km away from Eneos Beach Villas, is the most popular summer resort in Kythnos and offers a variety of fine restaurants, cafes, bars and mini market. The whitewashed hill-top Kythnos town, is 9 km away and has a wider choice of restaurants, bars,cafes, sweet shops, boutiques and grocery shops. Have a stop over at Loutra Marina and enjoy a restful stay in our villas before sailing to Syros, Kea, Serifos or Lavrio Marina. Schedule a couple of relaxing days at Eneos Beach Villas within your sailing holidays without missing your crystal blue experience!